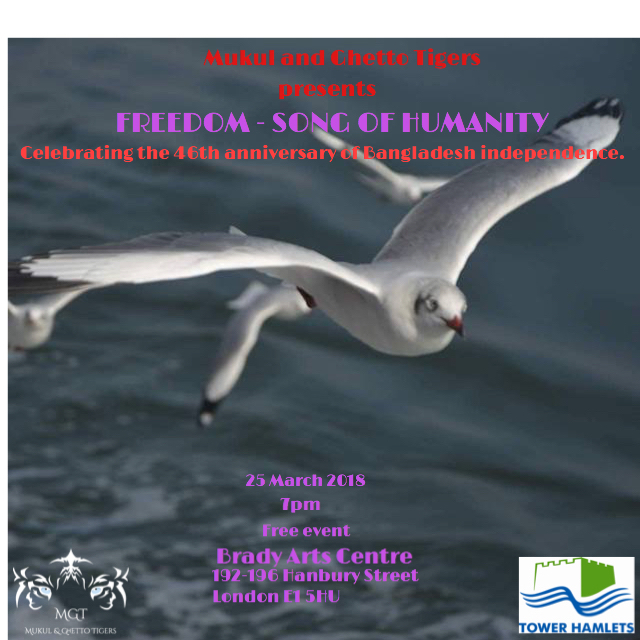 Freedom – Song of Humanity , a multi-lingual cultural event to celebrate the 46th anniversary to celebrate the Bangladesh Independence Day. The event is inspired by the Bangladesh Independence movement and the struggle for freedom, to understand the historical turbulence and the aspirations of the Bengalis. It will evoke a memorable experience through poetry, music and dance, that reaches out from the past and embraces the present leading to the future championing freedom of speech, expression and plurality.